Home Uncategorized Convert Your US Driving Licence to an Irish One! Ireland and America have a long standing diplomatic connection. But when it comes to driver’s licences, things are a little different! Whether you’re 50 years old and you’ve been driving since you were 16 or you’ve only been driving for 5 years, you’ll need to go through the Irish driver’s licence process like any new driver. Our step-by-step guide and lessons are here to help! Schedule your driver theory test with the RSA (Road Safety Authority) and then get studying! There is often a long wait time to sit your theory test, so we recommend scheduling the test and then learning the rules of the road. The theory test is composed of 40 multiple choice questions and includes topics like statistics, understanding signs, basic car mechanics, and predictive driving. There are some good study resources including books and online practice tests to get you ready. While you’re studying and waiting for your test date, send your American Driver’s License along with proof of your driving history of the issuing state to the RSA. This will waive the normal 6 month waiting period that new drivers have after they pass their theory test, but before they’re allowed to take their driving lessons. Which is good for you because you want to fast track this process as much as possible! Click here for the details. Once you pass the theory test hold on to your certificate and go to the National Drivers Licence Service website to go over all requirements needed to apply for your Learner’s Permit. There are a series of forms to fill out and you’ll need to get your eyes tested by your GP or optometrist before heading in to acquire your Learner’s Permit. Click HERE to find out what you’ll need. Once you’ve got your paperwork in order you can either schedule an appointment with a local NDLS center or just walk-in and apply for your Learner’s Licence! Please note that once you receive your Learner’s Licence, you’ll need to place an L sticker on both the front and back windscreens of your vehicle. And you cannot drive alone, no matter how long you’ve been driving stateside. You must be accompanied by a driver wh4 has had their licence for at least 2 years. Click here for more info. Depending on your circumstances and learning style you can schedule your lessons in any way you’d like. From once per week for an hour to all 12 in one week! 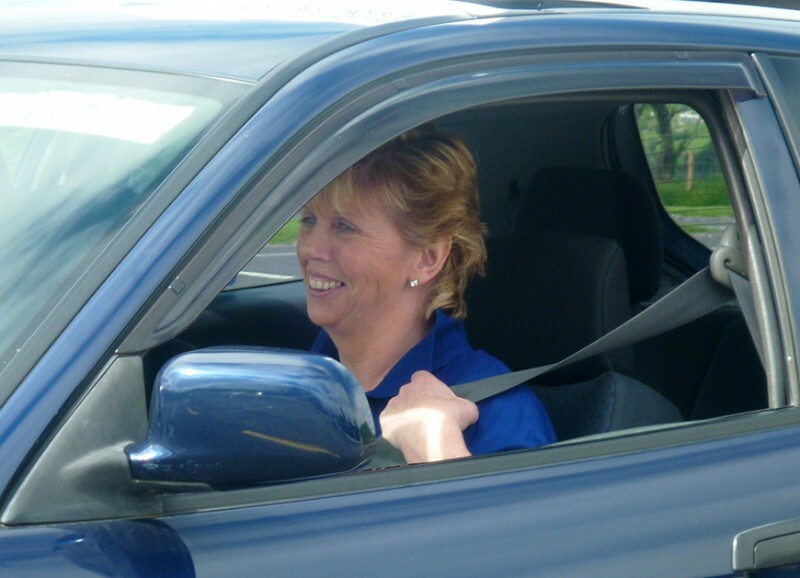 Your instructor at Bantry Driving Academy will help you with all aspects of safe and defensive driving along with practical tips on how to pass your Irish driving test at the first time attempt. Once again, wait times to sit your Driving Test can be long, from 4-6 months so it’s best to apply while going through your driving lessons so you can hurry the process along. By now you should be feeling confident and ready to take your test. Good luck! You did it! You navigated the long and winding road to becoming a fully licensed driver in Ireland. Head back into your local NDLS center to apply for your full licence. All the details along with fee information can be found here. Contact us to start making plans for your driving lessons at the BDA!